Modesty: Where Have You Gone?! 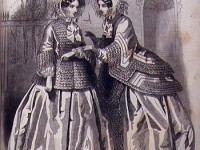 When it comes to clothing and fashion, what does modesty mean. 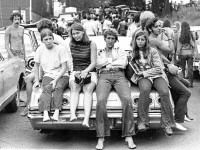 The 1960s emphasized youth and openness. It was a time when many rebelled against established ways. 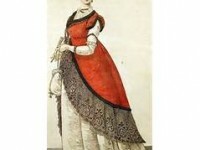 This was expressed in clothing, and, since human culture is a melting pot, anti-fashion became fashionable. Here are a few of the trends of the decade. Recently, a friend mentioned that he had asked a group of young people what came to their minds when they thought of the 1960s. “Hippies,” is what I thought, since I enjoy clothing, and hippies certainly had their own style. In this post, though, I want to talk about mainstream fashion. Fashion changes all the time, sometimes quickly and sometimes slowly. 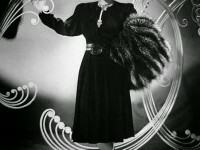 In the 1940s, women’s clothing did both at the same time. 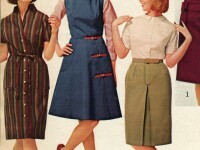 In some ways the evolution of women’s fashion stalled for a while because of World War II. 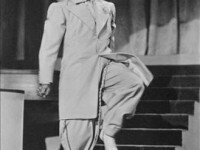 In keeping with our current emphasis on the 1940s, I looked in the local newspapers for zoot suits. 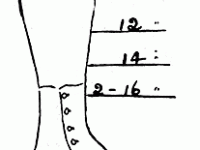 Although zoot suits were known in some form from the early 1930s, the first Geneva reference I found was in 1942. Everything is Coming up Bloomers! Elizabeth Smith Miller and the evolution of the bloomer outfit.